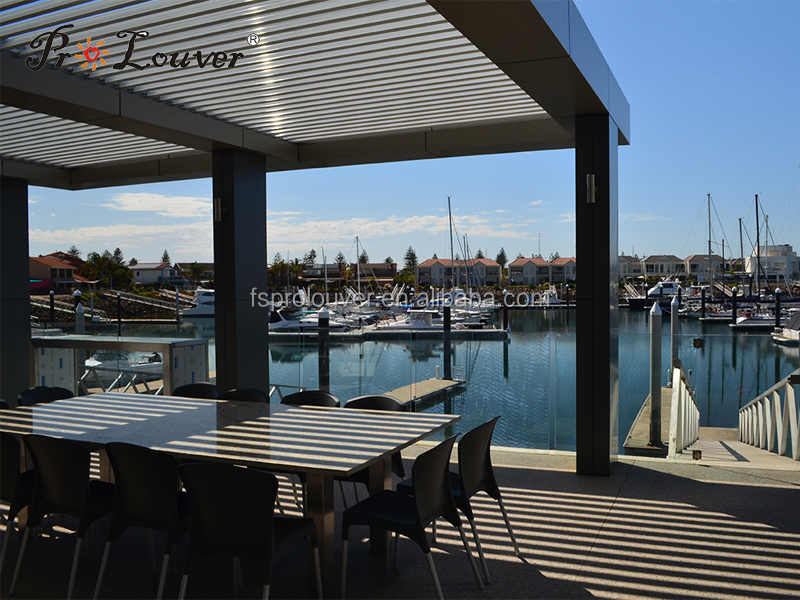 Prolouver waterproof pergola opening roof louver is also called aluminum opening roofs, normallyused for true indoor outdoor living. 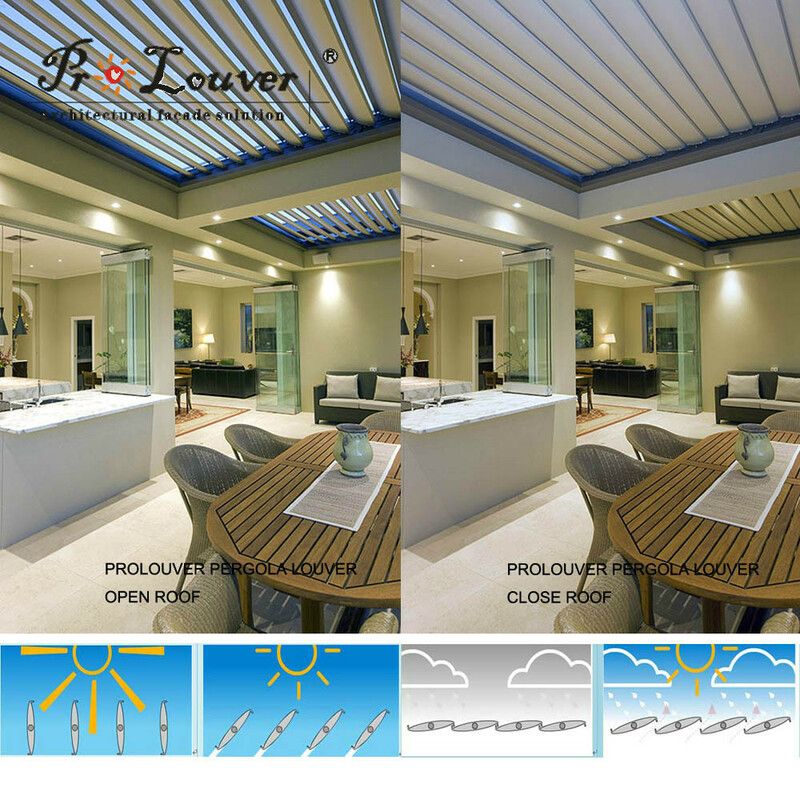 Prolouver Opening Roofs create additional living spaces that are customised to your home and let you make the most of the great outdoors by maximising daylight and offering weatherproof protection when it rains. Blades Material: AL6063 T5 or T6 , Powder Coated or Natural anodise finishings. End Caps: Aluminium alloy , AL3003 or Stainless steel , Durable ,Coated to match blade colors. Aluminium Frame size :customized fabricated. It can be Aluminum RHS or stainless steel,depends on project overall size. 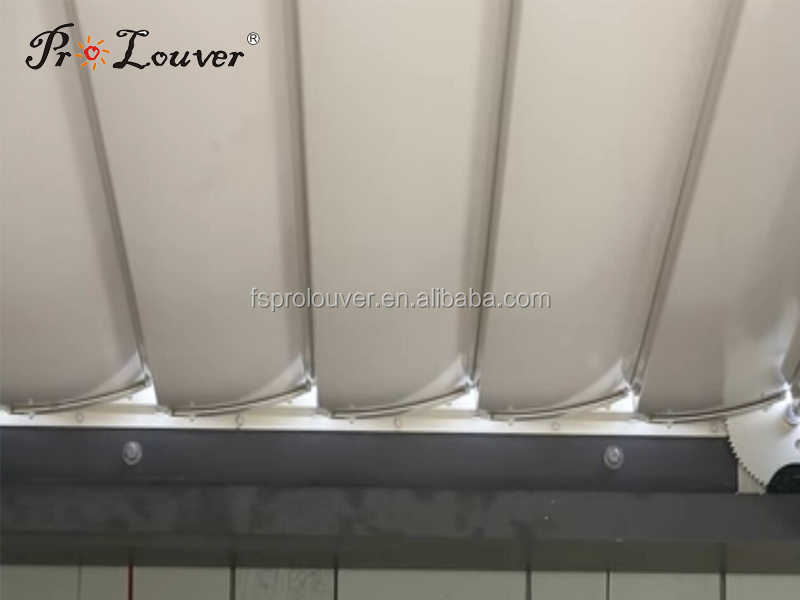 With the rain and wind sensor, the motorized louver system can be closed automatically when there are strong wind or rain. 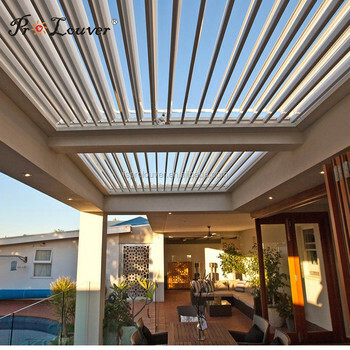 E. ROOF SUPPLIED IN KNOCK DOWN , SEMI-KNOCK DOWN OR FULLY ASSEMBLED DEPENDING ON ACTUAL SIZE AND IF ABLE TO FIT INTO 20' or 40' CONTAINER . Delivery: 15-20 Days, Depends on order qty. 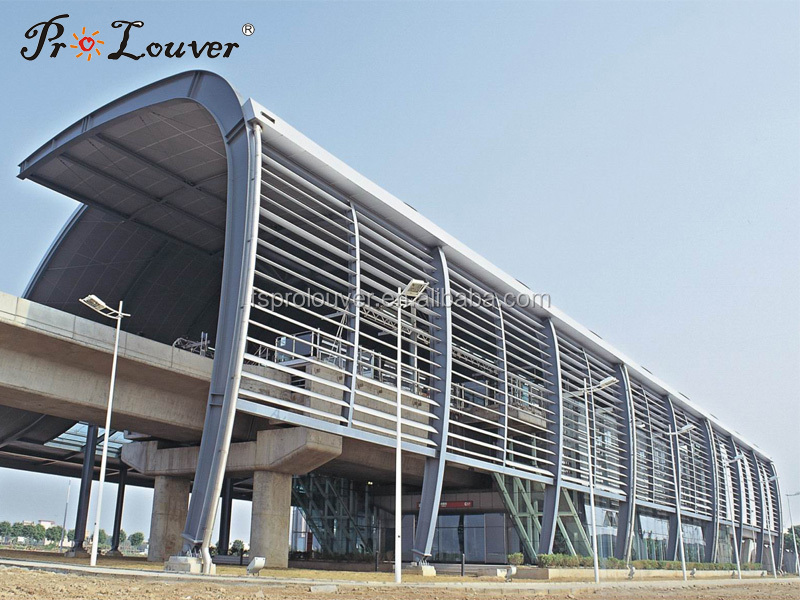 PROLOUVER is the leading professional manufacturer for architectural building materials in China. 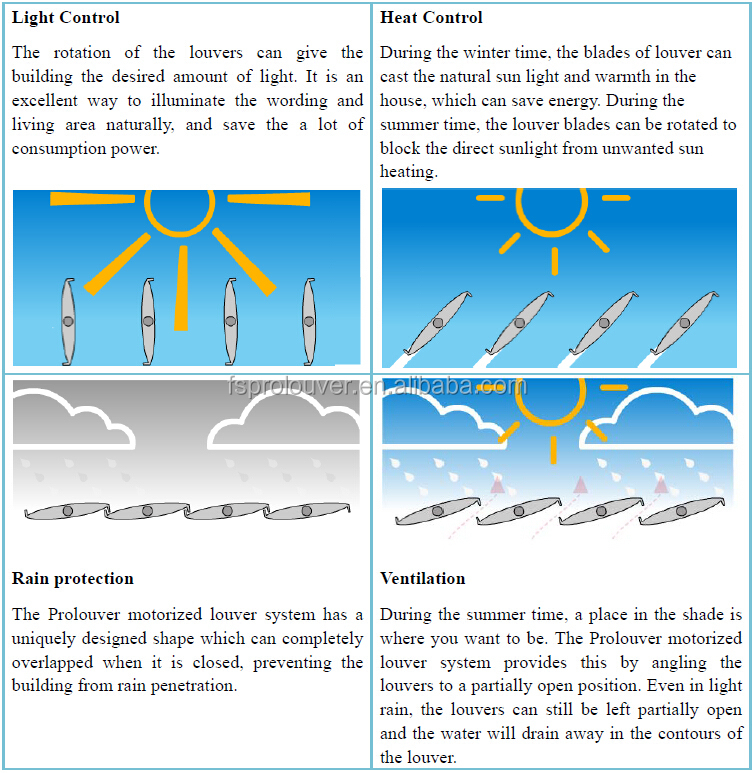 PROLOUVER developed and produced various types of sun-louvres, with successful projects throughout China and other parts of the World, and is considered a leader and innovator in the field. 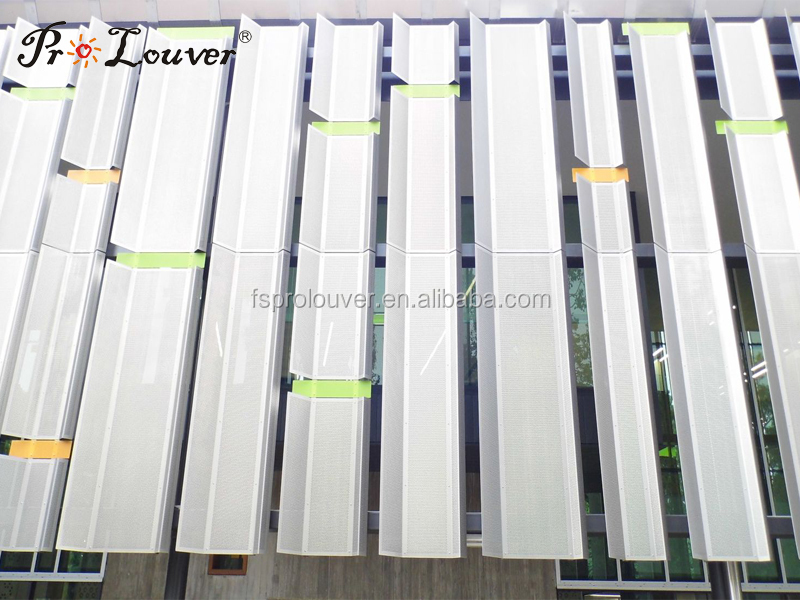 PROLOUVER has comprehensive range of Aluminum sun louver, including Aerofoil sun louver, Aerobrise sun louver, Celoscreen sun louver, Aeroscreen sun louver, Aerowing sun louver, and Box louver sun louver,acoustic sun louver. 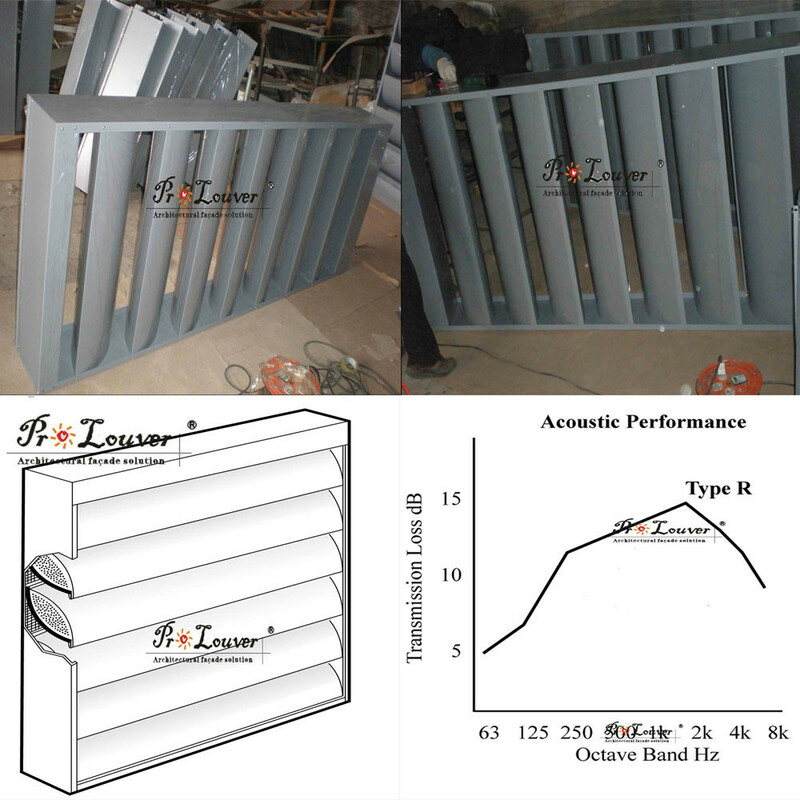 Customized louvers are available according to Architect's design. 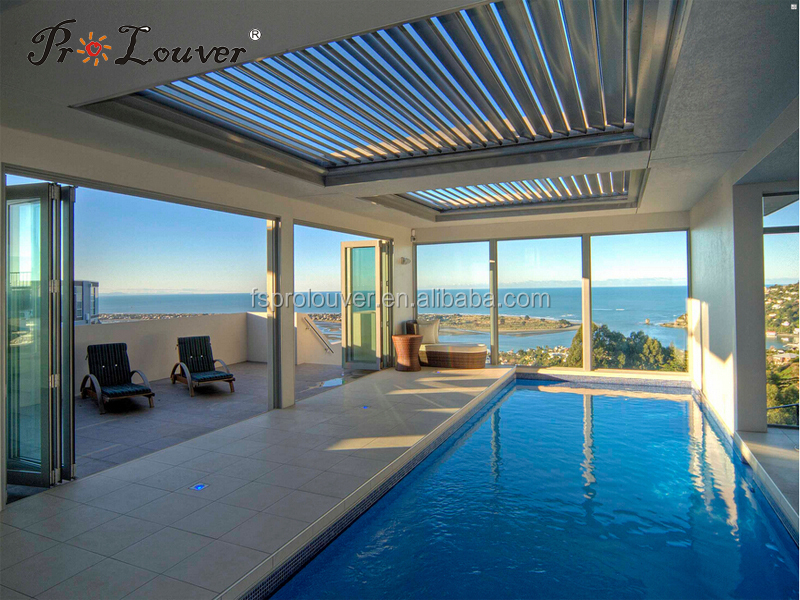 PROLOUVER facades and sun louvers are mainly used for exterior architectural decoration. 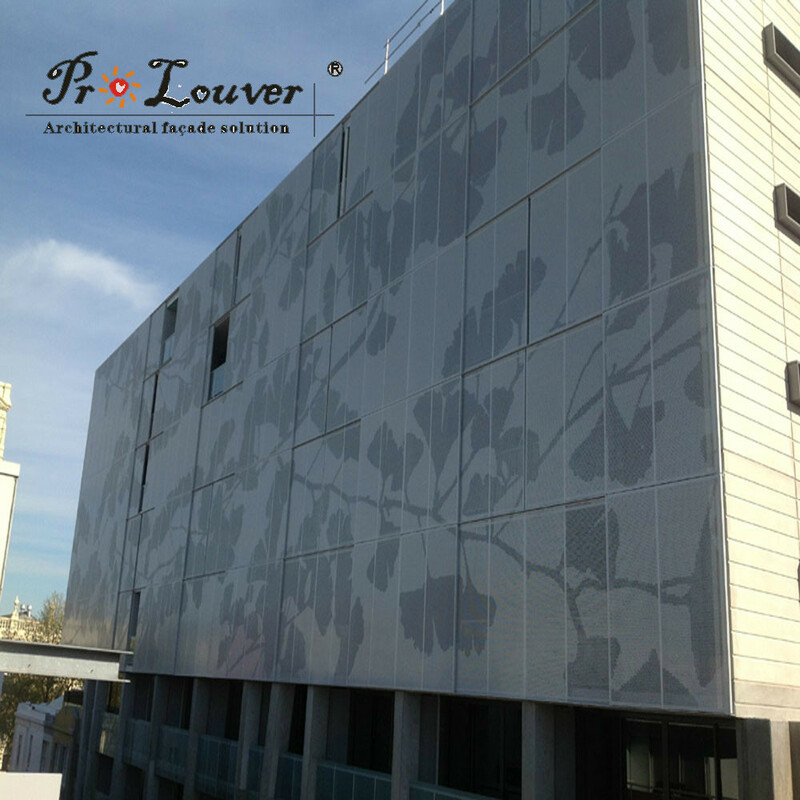 The surface of the aluminum panels can be PVDF spraying, AkzoNobel powder coated or 25 micro meter anodized finished, with excellent performance against exterior weather, with 10-20 years warranty on discoloration. PROLOUVER we know how important customers are, and we take the name "PROOUVERL as our core value to offer the best products and services. We have fully implemented ISO 9001:2008 DNV quality management systems in all aspects including engineering design, production, inspection, testing, construction and installation etc. We have a young, passion, creative and energetic team, we will do our best to offer high quality products and the best service with the competitive price and to our clients all over the world. A:We are a factory, in Foshan,China,about 1 hours away from Guangzhou. A:Our factory is located in Foshan City.All our clients, from home or abroad, are warmly welcome to visit us! Q:What is the material of your products? 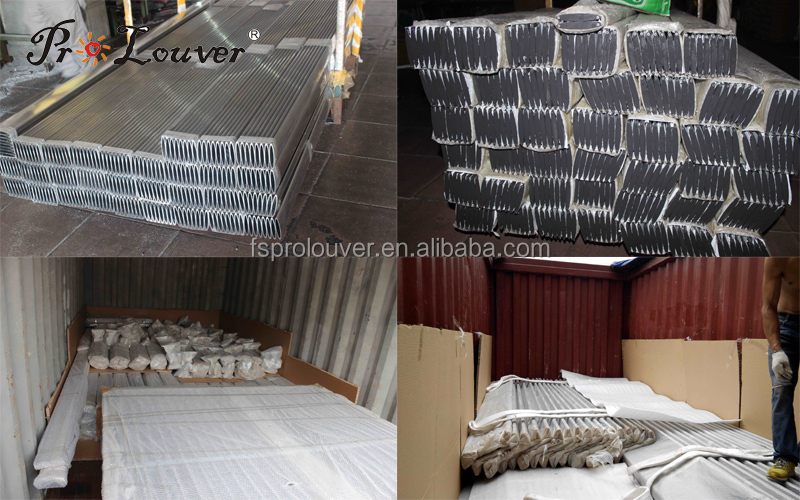 A: The main material is aluminnum.We can choose material as customers’requirement. A: We are honored to offer you samples. Just give specification you need. the very beginning to the very end. We can produce according to customer's drawings and special orders, Welcome your inquires and visiting!! !